We highly recommend that passengers pack liquids (including gels, pastes, lotions, liquid solid mixtures and pressurized containers) into checked-in baggage, as there are strict rules in place about taking them through security in carry-on luggage. Each liquid you carry must be in its own container of no more than 100ml (3.4 ounces). 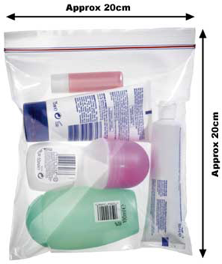 All liquids should be carried in a single, transparent, re-sealable plastic bag of up to 20cm x 20cm (8in x 8in) with a total capacity of up to a litre (approximately one quart). You must be able to completely close the bag and be able to fit it in your hand baggage. The bag of liquids must be taken out of other hand baggage to be screened separately. In the UK and EU, the tasting or testing of liquids, aerosols or gels on the skin will no longer be a recognised method of screening. These items will now be screened using special equipment. You may be required to open the items. Please note that food items that are a mixture of liquids and solids (stews, ready meals etc) are classified as liquids and are therefore not permitted in carry-on baggage. 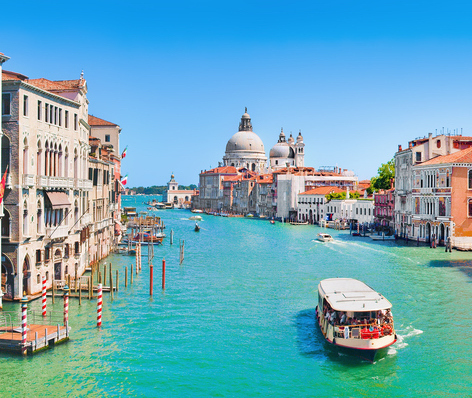 We suggest you will need to check the current arrangements for airports outside the UK and EU. Special procedures apply if you are carrying medicines or special dietary items. Please refer to the Special Assistance at Security page. For those still requiring a transparent, re-sealable plastic bag at the airport these can be supplied at the security search area. When travelling with babies and young children you are allowed to take enough sterilised water, liquid food and baby milk for the journey, we understand that some items may be over 100ml. In some cases it may be necessary to open the containers to screen or test the contents. If you are travelling with expressed breast milk, you can take an unlimited quantity with you, but no single container should be greater than 2litres capacity. The contents must not be frozen. Food or powders should be packed into hold baggage where possible. Although these items are permitted in hand luggage, they can obstruct images on the X-Ray machine, or may be mistaken for suspicious items – so putting them in the hold will help reduce the need for additional checks. Passengers who need to take these items on board should therefore allow extra time at security.